No puppy love: To immortalise Hachiko’s loyalty, a shiny bronze sculpture stands near the Shibuya train station. I decided to celebrate Chinese New Year away from Malaysia this year, so my wife and I chose Tokyo as our destination. We wanted somewhere that was a short flight’s distance for a brief getaway to celebrate our 28th wedding anniversary, an occasion marked auspiciously by Valentine’s Day and of course, this time around, the Chinese New Year holidays too. Now, the problem with Tokyo is the absence of any form of Chinese New Year mood there since it is not observed by the Japanese. But the cool weather was a refreshing change from the stifling heat currently enveloping Malaysia. That said, the Year of the Dog would not be complete without tipping the hat to Japan’s most revered dog at Tokyo’s Shibuya metro station. There, a statue of the faithful and fabled canine Hachiko has been erected as a homage, where selfie opportunities are mandatory for anyone visiting Tokyo to realise their trip. The dog, from the Akita prefecture, has long become a symbol of faithfulness, a trait familiar with dog lovers. This legendary canine was born in the city of Odate but ended up being owned by university professor Hidesaburo Ueno, who lived in the Shiba neighbourhood. Hachiko would wait patiently at the same spot in the train station for his owner to return on the 4pm train from his workplace, the Tokyo Imperial University. But one day in May 1925, the professor never returned to greet his loyal friend after suffering a fatal cerebral haemorrhage on campus. A forlorn Hachiko would return to that same spot for the next 10 years, hoping to be reunited with his master. “It is said that the dog would wait outside the station every evening – a model of fidelity and patience,” the Japan Times reported. To immortalise the canine’s loyalty, a shiny bronze sculpture stands at the Shibuya station. The art fixture was put up in 1934 and has since become one of the area’s main tourist attractions. The story inspired the 2009 film Hachi: A Dog’s Tale, starring Richard Gere. And less known, perhaps, is Hachiko Monogatari from 1987, which relates the same tale. The body of golden-brown Hachiko, which has been described as the most faithful dog in history, was found in a Tokyo street in 1935. He had died of old age. To keep his memory alive, he was preserved and placed on display at the National Science Museum. He also has his own memorial beside his master’s grave at the Aoyam cemetery. In 2015, a new statue was installed at the University of Tokyo, the new name of the imperial university, to mark the 90th anniversary of Ueno’s death and the 80th of his dog’s. “The statue depicts a joyous image of the professor and his loyal dog being reunited. It tells a happy tale of master and dog reunited forever at last,” a news article reported. As we celebrate the Year of the Dog, the Malaysian Islamic Development Department must be applauded for assuring Muslims that using images of dogs for Chinese New Year celebrations “is something that must be respected by all” and “according to the Islamic concept of co-existence, as well as Malaysia’s practice of moderate Islam”. Jakim director-general Tan Sri Othman Mustapha’s statement was certainly welcome and was even a pleasant surprise for many non-Muslims, who often view the authority as conservative. After all, this is the same agency that insisted popular pretzel chain Auntie Anne change the name of its “Pretzel Dog” to “Pretzel Sausage”. Non-Muslims have always been respectful of how Muslims consider dogs unclean under Islamic tradition. Some have gone to ridiculous lengths to ensure that such sensitivity is observed – even leaving out the likeness of two animals, the dog and pig, from the Chinese zodiac! Believe it or not, a T-shirt maker printed tops like these to represent the 12 zodiac animals for the Chinese New Year recently. And some malls even chose not to use image of dogs in their Chinese New Year decorations. Not surprisingly, the over-reaction of these business entities have irked their Chinese customers, judging from the response on social media. It may seem surprising that Universiti Putra Malaysia (UPM) has produced some of the best veterinary doctors in this country, the majority of them Muslim. My late dog Jezz, a gorgeous white Spitz, lived for 16 years and endured that long because of the loving affection of a Muslim vet at UPM. She showed her care, not just as an animal doctor, but as someone who consistently reminded her students and visiting pet owners that dogs are also God’s creations. A young tudung-clad Muslim vet from a clinic in Aman Suria, Petaling Jaya, has also been doing a wonderful job of looking after the health of my poodle, Paris. In all my visits to consult these two doctors, neither has ever displayed any apprehension or disdain in handling my pets. They have always been professional and are true animal lovers, even graciously accepting dogs. 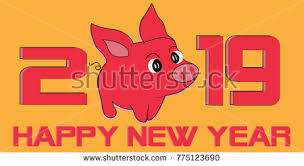 Next year, the Chinese will celebrate the Year of the Pig. For whatever reason, we have become more afraid these days, a situation far different from the past. Well, the last time we celebrated the Year of the Pig in 2008, nothing untoward happened and the chubby animal didn’t disappear into thin air then either. I have always had complete faith in the sense of reasoning and maturity of our people, and I believe no one will lose their head over a zodiac sign.